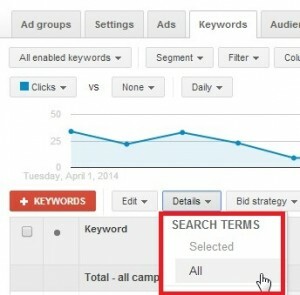 Following along in the footsteps of SEO, Google AdWords has announced that “Not Provided” will be coming to paid search. Citing efforts to keep user searches secure, Google will no longer extend the query to Google Analytics. 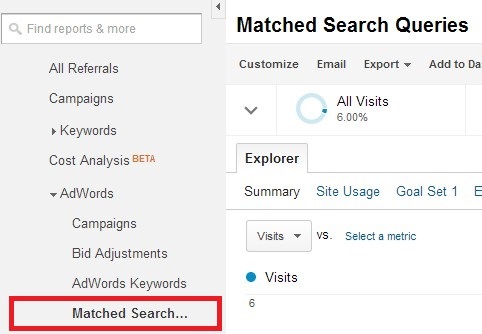 Similar to SEO, merchants will lose the ability to see the actual paid search queries that triggered their ads (within Analytics, at least). Though this update has potential negative repercussions, merchants should not worry about the day-to-day management of their AdWords accounts. This report shows merchants which queries were triggered based upon targeted keywords and what the post-click retention rates are. For example, a merchant may bid on the modified broad match version of the keyword “blue widgets sale.” In this example, search queries of “blue widgets on sale” and “sale on blue widgets” would trigger ads for the “blue widgets sale” keyword. Additionally, we could check to see that the query of “blue widgets on sale” netted 5 visitors with a bounce rate of 20% and average time on site of 3 minutes (along with conversion and revenue data). Not so anymore. The loss of data in Analytics isn’t ideal, but we are still able to see user search queries from another source. 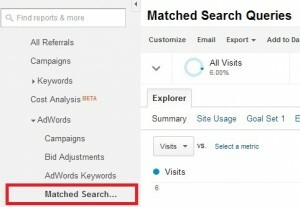 As always, merchants will still be able to view the “Search Terms” report in AdWords in order to see the actual queries that triggered ads. Post-click retention data will remain unavailable, but conversions and revenue associated with these queries can still be seen. But the negatives listed above can be circumvented by using the AdWords “Search Terms” report. At the end of the day, merchants are still able to see the actual search queries that triggered their ads. Viewing these queries is imperative to account growth and optimization. Moving forward, Exclusive Concepts will continue to monitor and adjust for this development. Online marketing is constantly evolving and we are committed to running profitable PPC campaigns for our clients.